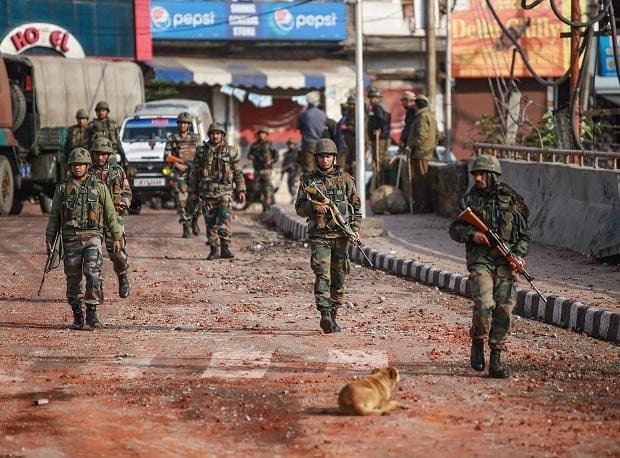 Prime Minister Narendra Modi on Monday said the Pulwama terror attack has shown that time for talks is over and hesitation to take action against terrorism and those who support it is akin to encouraging the menace. Without naming Pakistan, Modi, after holding delegation-level talks with Argentine President Mauricio Macri here, said the world should unite to take concrete action against terrorism and those who support it. After the talks, the two sides signed ten agreements in diverse areas like defence, nuclear energy, tourism, information and communication technology, and agriculture. "I and President Macri agree with the view that terrorism is a serious danger to world's peace and stability. The cruel attack in Pulwama shows that the time for talks has passed. "Now, it is required that the world unites against terrorism and those who support it. Hesitation to take action against terrorism and those who support it is akin to encouraging terrorism," Modi said in a press statement in the presence of Marci. The Argentine President is the first international leader to visit India after the Pulwama terror attack that killed 40 Central Reserve Police Force (CRPF) in Kashmir last week. Condoling the death of the CRPF personnel, Macri said India and Argentina must work together to fight the menace of terrorism. Referring to the defence cooperation agreement signed between the two nations, Modi said this will give new a dimension to bilateral ties. Modi said India and Argentina have been cooperating at different international fora. Argentina, Modi said, has strongly backed India's entry into the Nuclear Suppliers Group, the Missile Technology Control Regime (MTCR), Australia Group, and Wassenaar Arrangement. Of the four groups, India has gained entry in three export control regimes, except the NSG. Modi also welcomed Argentina's entry into the International Solar Alliance.